austraLasia - 5005(I)_"Holiness for You Too!" Samphran, Thailand, 7 February 2019 -- The Salesians in Thailand, Cambodia and Laos have gathered to celebrate the Annual Province Day 2019 at Salesianum Samphran (Formation Community for Pre-Novitiate, Novitiate, and Post-Novitiate). 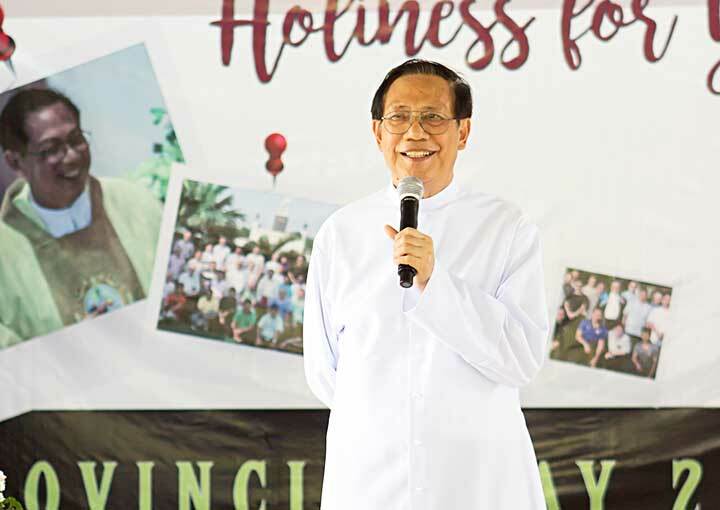 The theme of the Province Day 2019 continues with the Strenna 2019 theme “Holiness for you too,” which stimulated all activities of the day, promoting the unity and accompaniment of each and every confrere to each other’s holiness. The celebration began with the Eucharistic celebration presided by Fr John Bosco Thepharat Pitisant SDB, Provincial, with concelebrants Fr Roel Soto SDB, Superior of the Salesian Delegation of Cambodia, Fr Aaron Alcoseba, Provincial Vicar, some Provincial Councillors, and Salesian priests with the active liturgical participation of the Salesian Brothers and all aspirants from the Salesian Aspirantate at Hua Hin and from Nazareth House Banpong. During the homily, Fr Thepharat encouraged all Salesians in the province to be grateful to our missionaries who initiated the mission of God for poor people in the Province, they also gave us a solid foundation for our apostolic mission in every community. Fr Provincial then invited all confreres to embrace the spirit of being missionaries to the young in our hearts; no matter where we are living and working we are called to be missionaries of God to the young. 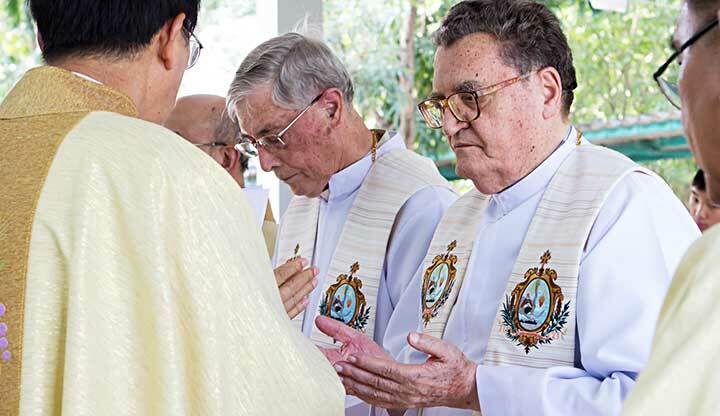 After the Mass, some elderly Salesians were ministered the sacrament of anointing to the sick. After mass, there was an opportunity for all confreres to express our gratitude to the Provincial, as he is Don Bosco among us. All aspirants and our young confreres in initial formation offered some entertainment: Thai-Lao-Vietnamese-Cambodian traditional dances which represented the diversity in our province (From the aspirants at Hua-Hin), Don Bosco songs in three languages: Thai-Vietnamese-Cambodian (from prenovices, novices, and postnovices, and the presentation of Don Bosco today by the combination of a brief drama and the song “Photograph” (from the aspirants at Nazareth House). After all the items were presented, each community offered some gifts to the Provincial. The provincial will utilise these gifts to support the needs of various communities within the province. This in turn manifests solidarity and unity in the province. In the afternoon, after having lunch together, the celebration continued with some sports, which recalled the spirit of the oratory. 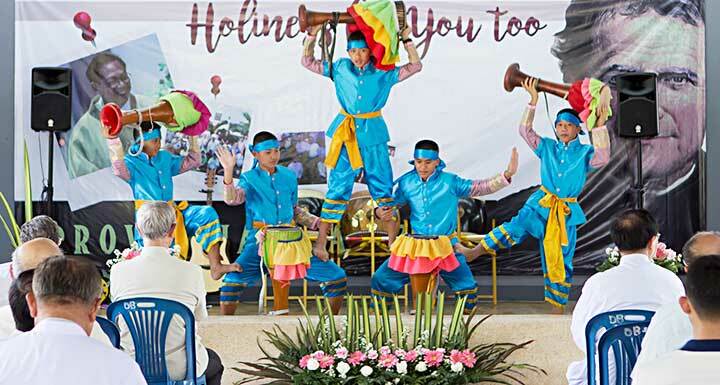 Province Day, therefore, is a great celebration where we come together to share love, joy, and fun and recharge our energies for moving forward with the Salesian apostolic mission like Don Bosco and our pioneers. We would like to thank Fr Anthony Boonlert SDB, Rector of Salesianum, and all the confreres of this community for their hospitality and welcome. May the Spirit of Salesian joy encourage us to reach holiness together.